There was a time when kids used to play video games on handheld devices or gadgets. Those games were usually very simple games and were primarily designed to keep your kids occupied. However, as technology advanced to an all new level, the quality of video games also improved. In this modern era, computers are mainly used to play video games. There are other areas of improvement, as well. Modern day video games involve a lot of action, strategy, adventure, and much more. Apart from kids, you will also find adults playing video games on their computers and smartphones. There are basically two types of video games played globally. Those that involve single player and those that involve multiplayer. For the former, you need not use your internet connection to play a game. However, for the latter, you need to stay online so that you can play with other players from around the world as a team. In the world of video games, you must have heard the term VPN or Virtual Private Network. The actual meaning of the term is probably not known to most of you. The VPN is basically a way to encrypt the internet communication. The primary aim of this is to prevent private information from being shared with your ISP. The main idea behind this is to send data through a special tunnel via encrypted protocol. As a result of this, ISPs and various other three-letter agencies are unable to intercept the traffic and the privacy is maintained. 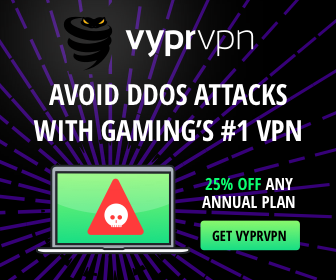 As a gamer you will come across several VPN options. However, you may not like all the different VPNs. Here are 5 of the best VPN for gaming purposes. 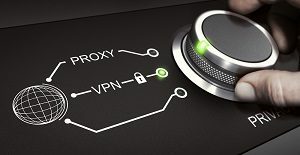 The features of the VyprVPN support for a large variety of platforms which includes iOS, Mac, Android, and Windows, along with Linux, OpenWrt, Tomato routers via an app, AsusWRT, Boxee, Synology NAS, and Blackberry 10, to name a few. The ability of this VPN to easily support a large array of platforms is what sets apart this VPN from its competitors. The maker of this VPN is situated in Switzerland, where the privacy laws are quite favorable. According to the Switzerland law, IP addresses are personal information and should be protected. The cost of VyprVPN is $9.95 per month and for an annual subscription, the rate is $60. The annual plan also provides unlimited data which can be spread across a maximum of 3 clients. However, if you wish to go for more client options, then the monthly package will cost you $12.95. The robust platform of VyprVPN is dependent on more than 700 servers spread across 6 different continents and over 70 different locations. As a result of this, it can offer more than 20K IP addresses. VyprVPN can easily support an expansive range of platforms. The pricing of the VPN can be considered as moderate. It provides class-leading data speeds. There are no free tiers offered. The standard pricing level allows a maximum of just 3 clients. The second in the list of top 5 VPN for gaming is TunnelBear. As the name suggests, it is basically a bear themed software. This VPN package costs $9.99 and includes a free tier of 500 MB per month along with unlimited browsing. You may also opt for the annual package which costs $49.99 per annum. TunnelBear also supports all the major platforms such as Mac, Windows, Android, and iOS. The VPN provider promises to collect just the bare minimum information to help them operate successfully. This VPN presently has a network across 20 different countries and states a “No Log” policy. TunnelBear also has a Ghostbear feature that allows the VPN to make its traffic less detectable. As a result of this, it defeats VPN blocking. The speed at which it allows downloads is almost 24.73 Mbps and the upload speed is almost 14.85 Mbps. It is very simple to set up the system. The annual cost can be termed as quite reasonable as compared to its competitors. The ping time of TunnelBear is on the lower side. It also promises minimal data collection. The pack speeds is not that great when you compare it with some of its competitors. The data allowed on free tier is also on the lowest side. TunnelBear does not support routers. If you are searching for a decent VPN offering, then Private Tunnel is the best bet for you. Although it does not provide any free tier, Private Tunnel does provide a 200 MB time-limited trial pack. 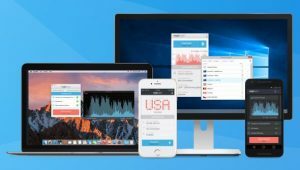 This VPN does not have any browser extension and it supports most of the major platforms such as Android, Windows, iOS, and Mac. The download speed of Private Tunnel is approximately 29.04 Mbps and the upload speed is almost 23.08 Mbps, which can be termed as quite strong. The ping time is also the highest at 162 milliseconds. Amongst some of the downsides of Private Tunnel, it has a maximum of just a mere 12 server locations spread across 9 countries. You cannot use BBC iPlayer and Netflix with this service. You need to shell out $9.99 for a 20GB data plan and $19.99 for a 100GB data. These plans do not come with any expiration dates. The annual package is probably the least expensive amongst its competitors. Private Tunnel supports OpenWrt router firmware. The upload speed is also amongst the best. The ping time is the highest. The maximum support is just for 3 devices. The free trail package is time restricted. This VPN comes with a lot of features at a price that will not burn a hole in your pocket for sure. However, it does not provide a free tier, apart from the 7 days trial package. It allows you to connect to a large array of servers. The monthly plan for VPN Unlimited is just $6.99 and the yearly plan is $39.99 suitable for a maximum of 5 clients. It supports the usual major platform such as Max, Windows, Android, and iOS. This VPN also supports several other devices which include Amazon Fire TV, Roku boxes, Google Chromecast, and Apple TV. It also offers router support for both OpenWrt and DD-Wrt, along with limited support for Tomato Firmware. This makes it a great choice for a wide platform support. The download speed is 29.0 Mbps and the upload speed is 14.85 Mbps. The ping time is also the lowest at 21 milliseconds. All of these features make VPN Unlimited a great choice for PC gaming. The monthly package is the least expensive. It supports a wide range of platforms along with routers. The ping time is also the lowest amongst its competitors. The speed is nothing extraordinary. There are no free-tier packages. Another VPN to reckon with is the Hideman VPN. It has an initial free trial package of 7 hours, which means a free tier of an hour each day of the week. There is also an unlimited Ultimate plan for the price of $9 every month or $69 annually. It supports a maximum of 4 clients. Although it does not support any routers, it does support all the major platforms such as iOS, Windows, Android, and Mac, along with Chrome Browser. Hideman VPN saves data for a maximum of 14 days after which it is automatically deleted. The download speed is 41.67 Mbps making it the best and an upload speed of 7.8 Mbps which is the poorest of the lot. The ping time is also quite disappointing at 45 milliseconds. Although the download speed is the best, the upload speed is nothing to reckon with making it just an ordinary VPN for gaming. The upload speed is awesome at 41.67 Mbps. It supports all the major platforms along with the Chrome browser. It supports 4 clients at a monthly cost of $9 and an annual cost of $69. The upload speed is terribly low at 7.8 Mbps. The ping time is also nothing great at 45 milliseconds. Limited number of regions to choose from. Data is retained for a maximum time period of 14 days after which it is deleted. When you search on the internet, chances are that you will come across a large array of VPN services for gaming. However, choosing the best may take longer than you can anticipate. Amongst those discussed above, the best of the lot is VyprVPN (CLICK HERE TO ACTIVATE DISCOUNT). Apart from the major platforms, this VPN supports a bagful of other platforms, as well, such as Blackberry 10, DD-WRT, AsusWRT, OpenWrt, and much more. The pricing of their packages is also competitive and the robust platform of this VPN is based on more than 700 different servers spread across 6 continents and over 70 locations. The multiple features of this VPN make it a favorable option for gamers from all across the world. The download and upload speeds are commendable and the ping speed is also competitive. You can also visit this guide for more information on hiding your IP address.